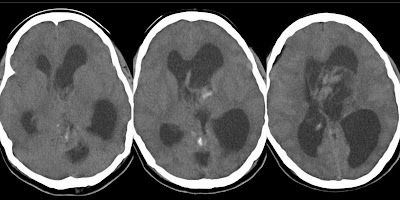 Non contrast CT study of brain of a 40 yo male. A well circumscribed intra ventricular lobulated mass lesion. Extending in third ventricle, pineal region and upto fourth ventricle. Density is mixed, heterogeneous due to solid and cystic necrotic areas. Imaging diagnosis : Findings are typical of Central Neurocytoma. Histo pathology report : Central Neurocytoma. An intra ventricular neuro epithelial tumour. Extra ventricular Neurocytoma is known but rare. Bubbly lobulated well circumscribed mass. 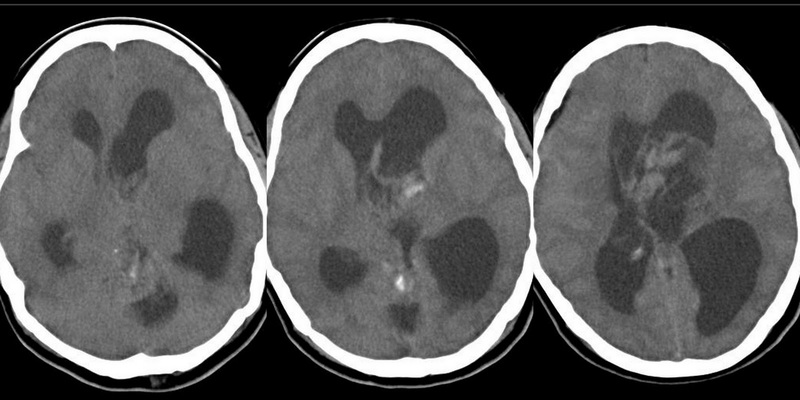 Location is typically lateral ventricles attached to septum pellucidum. May extend up to third ventricle. Extension in fourth ventricle is extremely rare as in this case. Calcification is common in ~ 60%.